This is a turn up for the books, APB: Reloaded, the game that was cobbled together from the remains of 2010’s APB: All Points Bulletin – the MMO whose failure sank its developer Real Time Worlds – is doing very well for itself since adopting the free-to-play model. Reloaded Productions are reporting that they’ve reached three million registered players but, more than that, they’ve between 25-30,000 players signing in to play every day. Scottish Games are reporting that APB: Reloaded hasbeen in Steam’s top five free-to-play games since launching in 2011 and that Reloaded productions are working on a new update called Settling the Score. The update promises to bring with it a new scoring system to balance out arrests, kills, and mission objectives, as well as a better instancing system for the Districts. If all these figures are true, that’s pretty surprising. 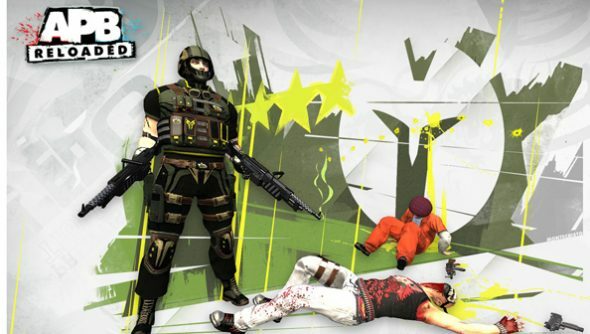 APB: All Points Bulletin was panned on release both critically and by the players, leading to the developer’s collapse. Then after relaunching as APB: Reloaded the reception wasn’t vastly improved. However, after a year online with steady updates the news of the game’s growing playerbase is a compelling reason to dive in and give it another shot.